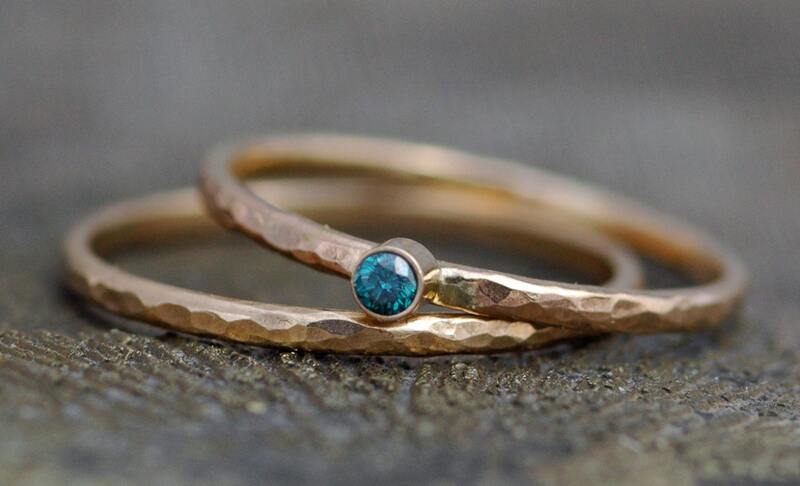 These petite diamond rings are the perfect combination of svelte design and high-impact colour. 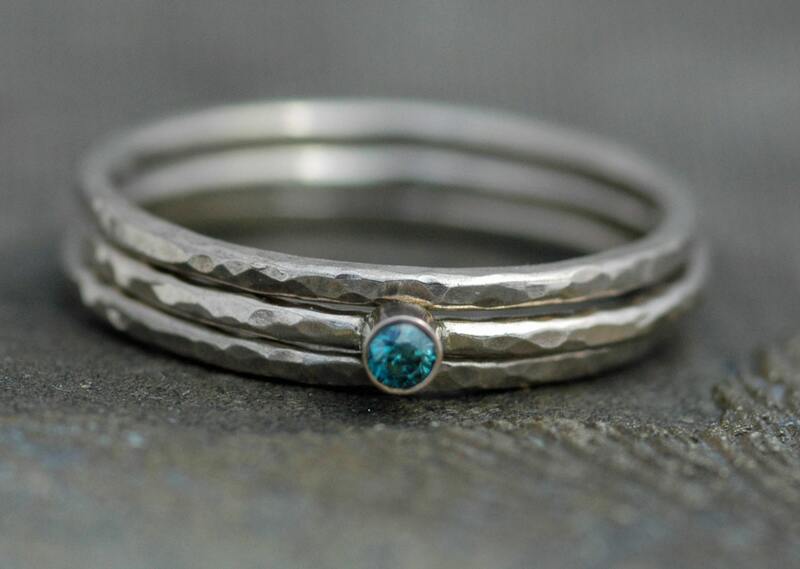 Your rings will be custom-made for you upon ordering. 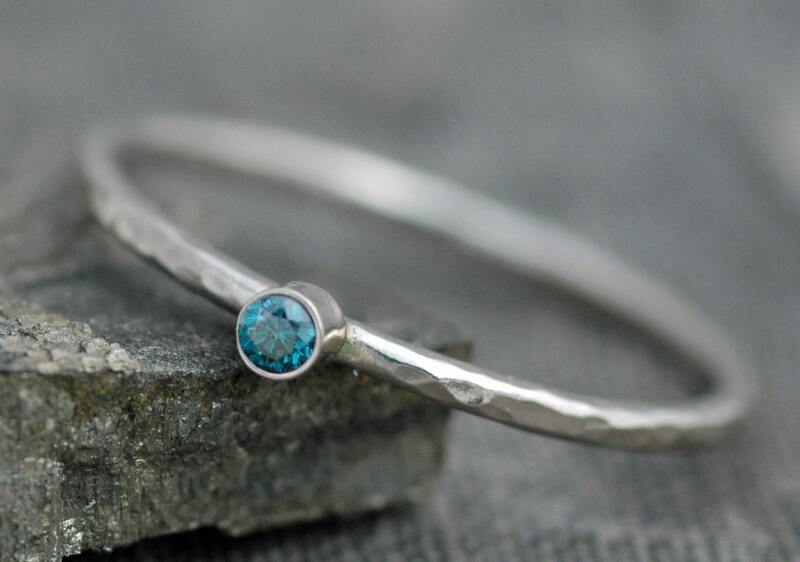 The diamond in this ring is a gorgeous, vivid blue. These little diamonds are 2mm across. 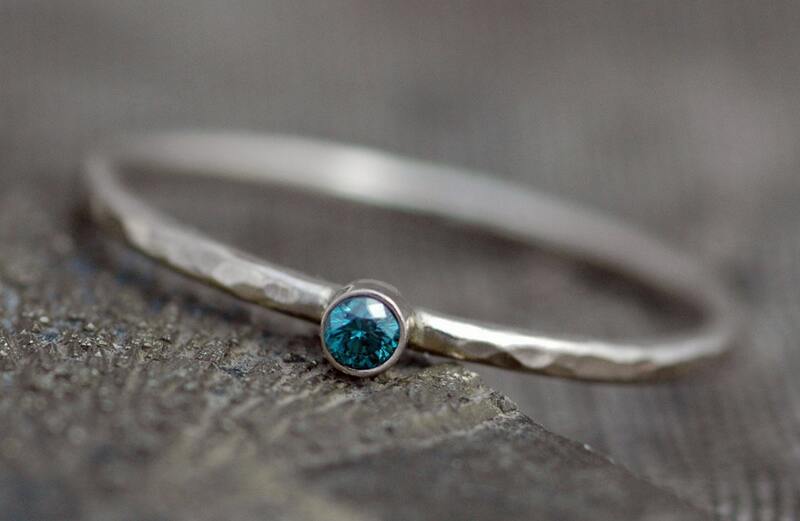 In this listing, you can purchase the diamond ring alone. Some photos show the ring stacked with matching bands- please note that the lowest price in the listing is for just the single diamond band. 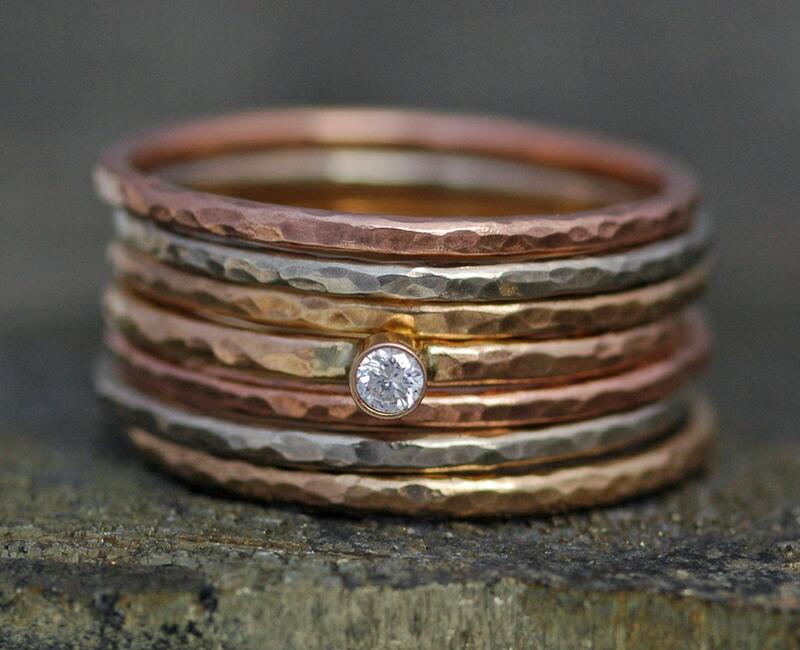 You may purchase as many matching, plain bands to go with your diamond ring as you wish- the diamond ring is shown stacked with one, two, and six bands in different colours of gold.